You are here: Home / Montse Peñarroya Blog / Articles / Marketing / What is Content Marketing? This article will try what the Content Marketing and what it is. Basically, the technique of Content Marketing It is to create content on our website or on social networks, so that the attention of the various segments of our target audience and get attract so we can turn them into customers. It is a technique that is part of Inbount Marketing, Techniques to attract potential customers to our messages, instead of going to look for us using techniques such as advertising. We know very well what is our target audience segments. We know exactly what content might be of interest to each of these segments. We are able to create that content. To give voice to this content so that it reaches different segments of our target audience. Once we have the public on our website, we are able to get them to become business contact or customer. How could we know what content is of interest to each of our market segments? Answering this question is complicated because each segment is a world apart, so their interests vary widely. As in every action of Marketing, the Content Marketing It requires a great deal of empathy, so it's best that we put on the skin of a person of that segment and think what you really need to know, or what you should be looking. tools like Google Trends, he Keywords Analyzer Adwords or your own Google Analytics will help. How to publicize the content? The main technique to publicize the content of a website is search engine optimization (SEO) so we must ensure that our page is indexed well in Google and optimally positioned for searches related to this content. We can also make it known through blogs and forums or through actions of Web 2.0, and of course, a public relations action. If you want to use the Content Marketing, you should train you in SEO. What is the right time? A good strategy Content Marketing takes into account what time of purchasing process is the customer: If you are still drawing inspiration, if you are already planning if you already have clear intent to purchase, if you have already purchased but look for more information on obtaining a better user experience ... we should create content for each of the steps in the "customer journey". How to convert visits has sent the Content Marketing, in contacts or customers? Bien, la respuesta es fácil: por un lado, debemos persuadir a la visita de que nosotros podemos ayudarlo con la necesidad que lo ha traído hasta nuestro contenido, y por otro, debemos asegurarnos que nuestra página facilita la toma de contacto entre las visitas y nuestra empresa. Así que debemos indicar explícitamente a las visitas que podemos ayudarlas, y debemos asegurarnos de que nuestra página web muestra el teléfono de contacto de forma visible en todas las páginas, de que disponemos de un formulario de contacto fácil y rápido de usar, y de que los usuarios pueden ver claramente, una dirección de email a la que pueden escribir si lo desean. I hope this article has been helpful and after reading see clearly that the Content Marketing It is a very good technique for attracting market segments that may be interested in your products and services. https://www.montsepenarroya.com/wp-content/uploads/2010/06/content_marketing.jpg 354 866 Peñarroya Montserrat https://www.montsepenarroya.com/wp-content/uploads/2017/09/MP-Logo-Web-1.png Peñarroya Montserrat2017-06-07 10:50:102018-05-15 12:31:06What is Content Marketing? Hoy día es impensable que una empresa implemente una estrategia de marketing digital, sin contar con una estrategia de marketing de contenidos. Desarrollar una estrategia de marketing de contenidos además de facilitar a nuestros usuarios y clientes una mayor transparencia sobre lo que hacemos, nos permite interactuar con ellos en blog propios, ajenos, foros y divulgar nuestros contenidos en Redes Sociales. Luis, thank you for your contribution, computer graphics that dating is very interesting! Clarifies very well how to work the Content Marketing. Very good article, I found very interesting and well developed. Thank you so much for the contribution, I will really implement. A hug! understood, I think follow all these tips from now. Very inspiring, thank you very much. You can order a professional content of writing, but I think that theirs is that we generate ourselves. The aim is to show that we are professionals in the field. The part I find most difficult is to know what really interests the public. I have always been in favor of hiring a content creator, as they often do a more professional job, and it shows. A comprehensive post. Thank you very much. Positioning is the future of any company that wants to reach customers and marketing content is bound to make good use SEO. An excellent job, especially those beautiful infographics. A greeting. The importance of content ... interesting post. Thanks for the info. Trbajar must content, it is evident. Thank you very much for sharing. Content is king. We all know. Thank you for the contribution. The content is the most valued digital strategy indeed. Thanks for the info. Very good article. I'll keep it in mind! Have clearly defined our audience will help us know that may interest issues. A good content strategy is essential within a company. It is a very important point paara a good web positioning. Fundamental processes to optimize SEO. Very useful article. Before anything. thank you for creating this great content. We stand for quite a time for content marketing itself more than the linkbuilding itself. We believe that there are two "forces" must go together hand in hand and not give priority to one another. 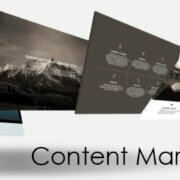 frame is essential marketing content in digital marketing. Thanks. It is very interesting.